Ernst Wilhelm Nay, 1963, Augen, oil on canvas, 79 x 63 in. Follow the links below for further information. Michael Werner and Mary Boone Galleries are pleased to announce their collaborative exhibition surveying the work of German artist Ernst Wilhelm Nay (1902-1968). The most important German painter during the first half of the twentieth century, Nay is all but unknown outside of Europe today. 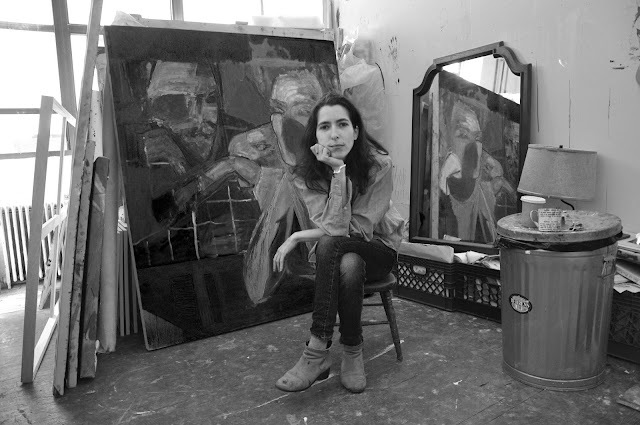 Presented simultaneously in three Manhattan galleries, this special exhibition is the first significant presentation of Nay’s work in the United States since his death and offers a rare opportunity to consider the work of this unique artist. The exhibitions at Michael Werner and Mary Boone Galleries focus on Nay’s works of the 1950s and 1960s – the period when Nay fully embraced color and abstraction in his work. The trajectory of his development follows a gradual and deliberate transformation from expressive realism to total abstraction and it is the works of his late period that represent the pinnacle of Nay’s artistic achievement. Nay’s earliest works were derived from the then-prevalent Expressionist style; Ernst Ludwig Kirchner was an important early source for the young Nay. However, where Kirchner ends, Nay begins, and therein lies the importance of Nay’s achievement. Whereas many of Nay’s peers turned away from Expressionism, eventually embracing the models of tachisme and Art Informel, Nay formed his own way by extending the pre-War language and style of Expressionism into a modern pictorial language of abstraction. Nay’s first breakthrough occurred in 1937 with the “Fischer- und Lofotenbilder”, two discreet series of pictures devoted to fishermen and the landscape of Norway’s Lofoten Islands. These paintings synthesize Nay’s early works with a newfound interest in the expressive potential of color. The “Lofoten Paintings” are also Nay’s first attempt to explore a motif serially. The importance of color and the organizational concept of the series are two characteristics that became central in the development of Nay’s art from this point forward. A series of paintings and drawings in the 1950s mark the artist’s second major breakthrough. Inspired by notions of synesthesia – specifically, the relationship of musical sounds and rhythms with colors and forms – Nay began to approach color as form, divorced from drawing. These so-called “Rhythmic Paintings” (“Rhythmischen Bildern”) brought Nay definitively into the realm of abstraction. Nay continued his investigation of color as form in a series of works characterized by subtly modulated, circular color planes covering large areas of the picture surface. 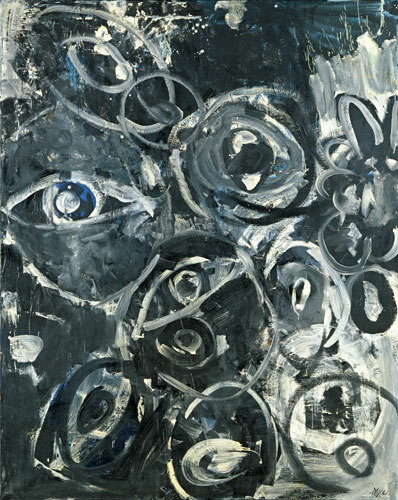 These developed further into the “Eye Paintings (“Augenbilder”) of 1963 and 1964, so named for their suggestive ocular forms emerging from the picture plane. These paintings led to Nay’s third breakthrough. The paintings of 1965 underwent a rigorous simplification of form and palette which would come to define the works of the following years. Often limited to only a few clear, intense colors, typically spread over large areas of the canvas, these works are the culmination of Nay’s decades of experimentation in painting. At a time when most artists were in the grip of second-generation variations on Abstract Expressionism, or enthralled with the newly emerging trends of Pop, Op and Minimalism, Nay developed a unique style that imbued abstract pictorial content with the capacity for deep conceptual and expressive meaning. Ernst Wilhelm Nay was born in Berlin in 1902. He developed an interest in art at a young age and taught himself drawing and painting. Nay was admitted to the Berlin Art Academy in 1925 on the merits of his first, self-taught paintings, and quickly became the master student of Expressionist painter Carl Hofer. Nay’s early talents proved very promising. In 1927, while still an Academy student, the Provinzial Museum, Hannover, became the first museum to acquire the artist’s works (Nationalgalerie Berlin would acquire two paintings a few short years later). On leaving the Academy in 1928 Nay began exhibiting his work throughout Germany. He traveled abroad, first to Paris and then, on receiving the Prix de Rome in 1931, to Italy. However, these early successes were short lived. Like many avant-garde artists of the time, Nay’s work ran counter to the ideals set forth by the National Socialists: they attacked Nay’s paintings as “masterpieces of ugliness”, confiscated his works from state museums and ultimately included Nay in their infamous exhibition Degenerate Art in 1937. Left with no opportunities to exhibit his work, nor even the means to acquire basic materials, Nay briefly left Germany, traveling and painting in Norway thanks to the generosity of Edvard Munch. Beginning in 1940 Nay served in the army as a cartographer and traveled in Southern France, Brittany and Le Mans. Bombing destroyed his studio in Berlin in 1943. Remarkably, Nay continued to paint and draw in his spare time during military service, and in 1943 he arranged for an exhibition of his wartime works on paper at Galerie Günther Franke in Munich; a short time later he traveled to Paris on a duty trip, where he befriended Kandinsky and other artists of the Parisian avant-garde. Released from the army in 1945, Nay ambitiously resumed his practice and continued to exhibit his work with ever greater commercial and critical success. Nay first participated in the Venice Biennale in 1948 – he would represent Germany there in 1956 – and in 1950 Kestner Gesellschaft Hannover organized the artist’s first retrospective exhibition. His first solo exhibition in America took place in 1955 at Kleemann Galleries in New York City. That same year Nay participated in the first Documenta; he would exhibit there again in 1959 and 1964. Beginning in the 1950s his works were included in every major survey exhibition of contemporary German art. 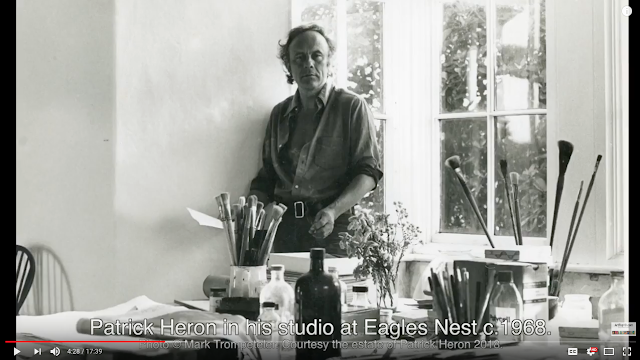 From the 1960s onwards his work started to be shown extensively outside of Europe. He continued to exhibit his works internationally until his death in Cologne in 1968. Works by Nay are found in museums throughout Europe, including Kunstmuseum Bonn; Nationalgalerie Berlin; Wilhelm Lehmbruck-Museum, Duisburg; Museum Ludwig, Köln; Staatsgalerie Stuttgart; Kunstmuseum Basel; Tate Modern, London; Musées royaux des Beaux-Arts, Brussels; Solomon R. Guggenheim Museum, New York; Albright-Knox Art Gallery, Buffalo; Busch-Reisinger Museum, Cambridge; The Saint Louis Art Museum; and The Wadsworth Atheneum, Hartford, among many others.